First, when we started with the RAW support, the MacBeth color charts mostly did not have the colors expected when we loaded the images in nomacs. Second, we solely supported Windows and Ubuntu in the beginning. At this point we want to thank all the supporters who translate nomacs or build it on other OS. Is it possible to put the thumbnails vertically at the left edge of the screen? Yes, you can right click on the thumbnails panel and then choose e.g. ‘Show Left’. You can even undock the thumbnails if you do not like the nice overlay effect. Is it possible to stop movies such as GIF or MNG? Yes, you can hit pause in the toolbar player or by selecting View > Stop Movie. If you then save the image, the currently displayed frame will be written. What is the synchronization all about? We are involved in image processing. Hence, we often need to compare the same image after different processing stages. So we wanted something that does this job faster and easier than Photoshop. That was the initial motivation behind nomacs. How can I support nomacs? Here is a short introduction how to translate nomacs to your language. Does nomacs support Windows XP and/or Vista? The answer is yes and no. So neither Windows XP nor Vista are supported in future developments since nomacs 3.0. However, nomacs 2.4.6 is a pretty stable version which you can use on these operating systems. How to make an unattended installation of nomacs? I have a svg file with transparent background. It is intended for print, with dark text, but in Nomacs the background is shown black or very dark. I tried setting “background color” but it only changes the matte around the image not the see-through color within the image. I do not find how to change it. As it is, the image is unusable in Nomacs. EoG shows its transparency pattern (checkered different greys) otherwise I would not even know what the issue is. Inkscape shows white background. does anybody know where nomacs stores the thumbnails of the images in the Linux version? 1) On some machines the image icon isn’t displayed in the browser (whatever magnification) all we see are the green cocktail glasses. If we click on an icon then the image will be ‘resolved’ but this approach isn’t very practical. Is there another solution to speed up the display of image icons ? 2) When we open several images at once nomacs will open them in separate windows. Is it possible for all these windows to be opened within a common main window as tabs ? The objective would be to allow scrolling through the images using the left and right arrows. EXCELLENT PROGRAM I USE IT FOR MORE THAN 2 YEARS AND I HOPE TO DONATE ALTHOUGH IT IS A CAFE SOON. STILL NO ANTI ALIASING 🙁 it’s 2019 .. When will it be available ????? nomacs is the world’s best image viewer of all time! However, there is a difference in the Frameless function, on Windows 10 x64, between version 3.12 and the prior versions, e.g., 3.10. When using two monitors, 3.12 asks which one to display the image on when going frameless, and when frameless, the image can’t be moved to the other monitor. Prior versions did not limit a frameless image to one monitor. Is there a setting that will make 3.12 handle frameless images like prior versions. Thanks again for the wonderful image viewer — nomacs! Function rotate image by whole degrees is useless. If need to aligne photo or scaned image must use tenths of degress. hi. i have had a quick look round and do apologize if its been asked before. im a old die hard and been struggling along with xp [and still are] .. and have used a older version of your program [x86] with decent results for a little while. works fine on xp .. but seeing as things are moving on ive had to get a copy of win7 and giving it a try with not much success. my problem is. with version 2.4.6 x86 installed on win7 [new ssd drive – clean instal] i have icon issues. in the Nomacs menu you can untick the associated extensions but exit and restart the program and they all become ticked again! i wouldnt ordinarily worry but it keeps messing up my icons and i have a devil of a job to work out whats what! is there a way to stop this happening as the program suits my way of working. its not full of bloatware and effects/editing that i dont need like so many are. its a great picture viewer. is there a reason that you don’t update nomacs? nomacs 3.6.1 would be latest 32-bit version that supports windows 7 (see: http://download.nomacs.org/versions/). The problem is that we cannot fix old versions (if there is an issue with file associations). I am running nomacs version 3.10.1.1801 [x64] on a 64bit windows 10 computer. Animated PNG files show up as a static image, however GIF files play normally. How can I get the APNG files to become animated? A quick look the nomacs Roadmap and Issues log shows this issue (#729) was resolved back in version 3.6. Any help with this would be appreciated . Is it possible to open multi page .FAX ? Is it possible to open specific files and switch through them? E.g. if I have files 1.jpg, 2.jpg, 3.jpg, 4.jpg. Hello, I noticed an issue on nomacs 3.8, linux, if I want to open a file, and I press ctrl+o, then press enter to select a file, nomacs crashes with a seg fault. This happens under gtk based environments. Should I file a bug report? yes please! it would also be awesome if you could attach a file that causes the crash…. Where did I just send the image??? Nomacs seems sluggish when using it in a system that runs for more than a day. Sometimes, when using Nomacs to view photos, the taskbar, open windows contents, and all its icons refreshes w/o reason, akin to when you change file association w/in windows & it refreshes all thumbnails & icons. are you running nomacs for more than a day or the system? When I’m using Nomacs all my laptop screen turn brightness to 100%. I appear to have fallen at the first hurdle. I have just downloaded the 32bit version for my W7 laptop , installed it but when I try to run it a popup tell me that VCOMP140.DLL is missing and to reinstall program. Have tried that but to no avail. excellent program, but it would be interesting if you could add a text to an image, and that it could be rotated and placed in any direction, whether horizontal, vertical or diagonal, as we need to insert it in the image. I just have one qustion: is there any way to get the Linux version of nomacs to automatically pop up the “Open Image” dialog if there are no files or directories specified on the nomacs command line? Thank you for providing this very nice program ! It would be very useful to be able to change DPI on the options of batch processing (for web export). And +1 for automatically rotate the pictures according to EXIF info. Crop is not function. I din not find how to Crop.I select and … what to do to finalize Crop ? Enter does not work. Enter function takes the crop back to uncropped image. Please Help as I would like to save crop. hmm… did you fit the rectangle to your needs and then hit enter? follow up: which OS are you using? I am having the same issue. I crop a screen shot image, then the crop button(with the enter tool tip) appears on the tool bar at the left. When I click that or press enter, it just clears the crop box I have drawn. Could this be because I am using a buffered image? IT JUST DOESN’T WORK! People are not that stupid, you know. I have the last version of nomacs, Win7 64 and crop doesn’t work. Ok, it works when you double-click it. But pressing enter or toolbar button still doesn’t work. Thank You for providing this excellent program. 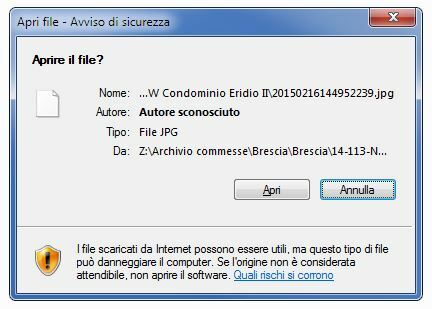 Question – when I save an image, I am taken to the directory where the file is saved. I would prefer to stay in the directory I am currently at so I can continue sorting through the files. This is common behavior in most graphic viewers. I could not find the option to set this in the settings and am not sure where in the source the jump to “save to directory” occurs. I would love to see this option in Nomacs, alternatively, please advice which parameter I should look at and I can change and compile my own version. is it “DkImageContainer” file? Looks like nice prog. I tried it but the thumbnails are too small so back to gThumb. max zoom (ctr + wheel) still has array 8 thumbs across. No more zoom. why the limit? Hey is there a way to set the default new window size? I rather like this package. Thanks for the work. One problem though. I sometimes post shots in places with some very critical viewers on it and I don’t seem to be able to set the colour of the photo background. Maybe I am missing something but ideally I need to pick it from the site where the photo will be pasted. I’m running it under KDE5 on Linux and it is using my monitor colour profile – unlike some others. Only one small criticism that doesn’t matter really. If I hover over a thumbnail it takes a while for the file name to come up. My main use is to scan photo’s and then pass them on to various editors. I think it’s a pretty important feature for people who are interested in photography. Other? Look at flikr etc and their lightbox. I just wish they were all the same but they vary. If just one for quickness flikr background isn’t too bad. Another cambridgeincolour.com. That site has some extremely proficient photographers on there. Funny aspect on Linux. It lacks a good photo scanning application. There are some built into the editors but they all want to catalogue them as well. I need to form my own catalogue and use several different editors and don’t want all or any of them doing this. On the delay before file names pop up I did write software for a living. Not PC though. I would wonder about caching them as they are loaded if memory is available. Maybe they are though. Hard to say. Why is anti-aliasing so bad? How do I change the zoom rate? I find the current zoom rate too fast? After recent update of nomacs when I open a image in folder with raw’s (canon) it’s displayed a text “does not contain any image” I already reinstaled and the same error. It opens the image/raw, but don’t allow to see other images, I have to open then individually. 1. Change default font. I’m using Ubuntu GNOME and I want to have Ubuntu font as default font. 2. Always open as Full Screen first. (now If i close at full screen mode and open it again it will be full screen but if I close in normal mode It will open in normal mode next time). 3. ESC to close on full screen. 4. 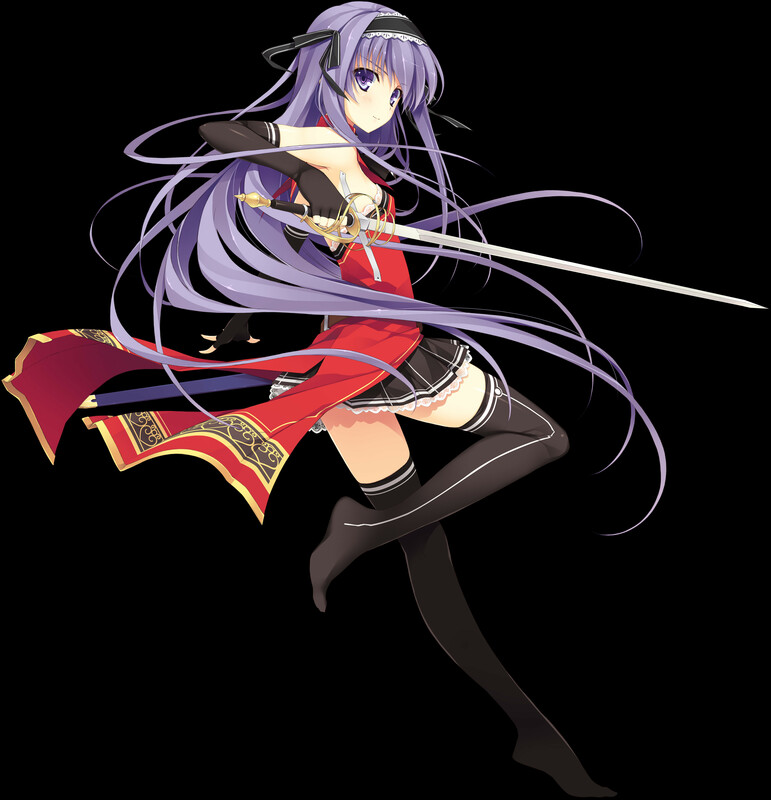 PNG image with square transparent background. and where do you can I find thumbnails on Linux version. 3. ESC won’t close nomacs for you would not come back to the normal mode easily then… But you can assign a custom shortcut (e.g. Q) for closing nomacs. #1 didn’t work for me. I changed all fonts to the Ubuntu and put `nomacs.css` file to the `/usr/bin/` folder and it didn’t change the font. please change `save dialog` to the GTK save dialog. you wrote ESC won’t close nomacs for you would not come back to the normal mode easily then… But you can assign a custom shortcut (e.g. Q) for closing nomacs. How do you assign the custom shortcut for closing nomacs ? you can change the shortcut using `Edit > Keyboard Shortcuts`. There choose `File > Exit` and double click the `shortcut edit` field. Is nomacs 3.6 portable stealth or does it write other than in its own folder? it should only write to its own folder – where does it write to? Why it keeps jumping to my primary monitor in frameless mode when I do next or preview image? I want to keep the viewer in same monitor as it would in framemode. Check yourself.Press F10 to go to frameless mode and hit right or left arrow, if it was in your secondary monitor the viewer will jump to primary monitor. yeah this is really annoying, hoping this can be fixed. I can`t seem to preview layered psd files anymore, just shows white background? (New machine and updated version). Good question! Same for me. Is there any way to have the preview, thimbnail or miniature of the “.psd” files? Hello, is there a way to hide ”player buttons” which are showing from start of full screen selection? Thank you for answer. It is excellent image viewer generally. Greetings from Turkey. Thanks for the answer, but it(play controls in full screen) appears everytime again and disappear(why?) in seconds. So i think it must be – on or off always – with an option, because now it is disfunctional. Where is the german perfection ;D danke. One thing I am finding a little tricky and couldn’t find a solution for was exact cropping size. 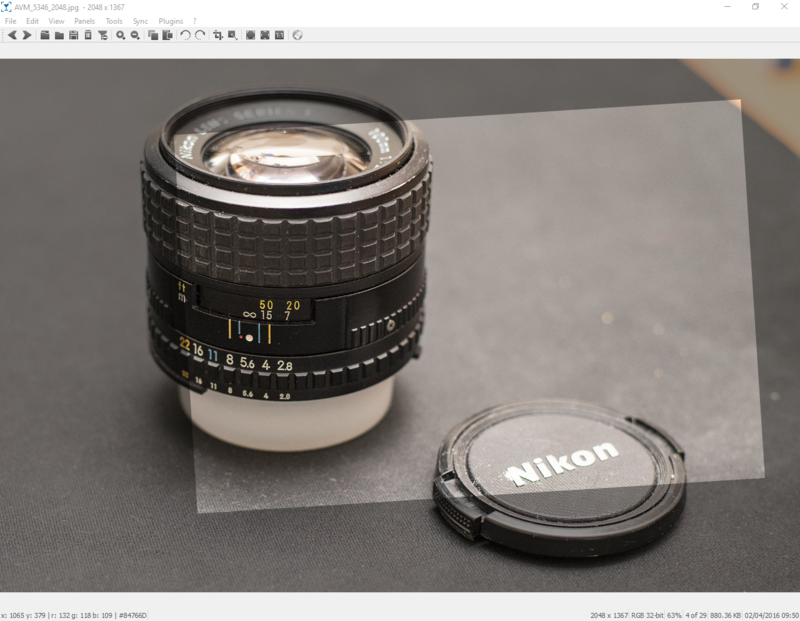 If I want to crop a picture to a size (say 400×600), there doesn’t seem to be an easy way to do it, only dragging selection box back and forth to match pixels exactly. Anyone know the best way to deal with this? I was hoping to just type a size in boxes where the aspect ratio currently is, but it doesn’t seem possible. is there a possibility to set “frameless” as default for opening an image? Would be great! i think it’s frameless mode default is working in new version. mine is working ! This app pretty supports everything I use in my workflow, especially BC3+ compression of DDS which I have had a hard time finding in this program category. However it doesn’t seem to open TGA despite that qtga.dll seems to suggest it should. Whats up with that? nomacs supports TGA but it is pretty picky – it requires the footer to be correct (contain TRUEVISION-XFILE). Hence, TGA files saved with Photoshop will be loaded. thank you so much!!! great app btw it’s a real life saver! When I edit images, nomacs add Image>Software [nomacs – Image Lounge] default, but I usualy post images as an anonyous, however the comment may be found with tracing who post it. At previous version, it have a hunch to turn off. Would please teach it’s right, or how to do them. actually you cannot turn them of, sorry! But there is a feature request to remove all metadata – we’ll add this in the next release. Hi. I jumped around between frameless and normal view; full screen and normal; and at the same time closing and opening software. Now I can’t open nomacs. I start it, icon appears on tray and… nothing. can’t see program window. (win 8.1, x64) re-install didn’t helped. Can you say me where nomacs keeps it’s config files? I want to reset my configs to default. What is this weird rectangle I keep seeing in my pictures? They show up with Lightroom exported JPEGs, on RAW files that have been cropped. When I open the exported JPEG with nomacs I see these. How do I get rid of them? Is there an option to resize the window to the image size? I’d also prefer to be able to make this a default so that any time I open an image it will try to open the window with the same size (unless it’s bigger than maximized in which case it should be maximized and the image should resize to fit the window). Very useful. There does appear to be a slight issue with this method but I’ve found a workaround that isn’t too difficult (and that can be auto-hotkey’d). If you open the image and the window is smaller than the resolution of the image then pressing CTRL + 2 does not change the size of the window (it flashes and displays a % in bottom-left corner). However, if you press CTRL + 1 first (Show 100%) and then press CTRL + 2 it does what I’m looking for which is to adjust the window to the size of the 100% zoomed image. “CTRL + 2” fits window to current image size. Is there a way to do this automatically as one moves from one image to another? Hi! I’m using the latest version of Nomacs on Win7 and I can’t get it to set as the default image viewer. Am I missing a step? thnx! Hello, thank you for this program, it is really good! I have a question – is there some option that turn on names of file near thumbnails? Or how I can make File info panel bigger? font size is too small. Is there a way to change the size of the thumbnails? CTRL + Zoom Wheel will resize the thumbnails in the HUD panel & the Thumbnail Preview. I picked this up because I hate the Windows 10 image viewing program. I love it in general, but there is one huge issue – when you cycle through images, it is always in alphabetical order. So if I have a directory sorted by date I can’t go through the images in that order. It really needs to cycle through images in whatever order the directory has them sorted :/ I deal with big directories of images that I sometimes need to sort other ways. does File > Sort not do the trick? “Sort by date modified” doesn’t work correctly. Shows same result as “Sort by date created”. I have been using your software for quite a few months now and it has been a very useful tool for me. Unfortunately, when I recently updated to the latest version, the program stopped working. It returns a bad image error for MSVCP140.dll. I am using the x86 version, installed with the setup program, on 32-bit Windows 7. Reinstalling the software did nothing, neither did reinstalling the Microsoft Visual C++ 2015 redistributable. If this stems from the software being 64-bit, is there a way to download older versions for 32-bit systems, other than building from source? we had a problem when we packed the x86 version. The updated installer is working in my Win7 VM. If you want an old x86 version of nomacs, you have to go for the 2.4.6 WinXP build. We dropped all other portable x86 versions since it is a lot of additional work for us and x86 platforms are rare nowadays. It works again after reinstalling. Thank you for the quick response! Very good software and I’m looking forward to is development! I had this option in ACDSee and it’s really useful when you shoot pictures with different cameras generating pictures with different naming format. Also, the batch processing does not allow to automatically rotate the pictures according to EXIF info. It would be nice so that the picture can be visualized with the right orientation with viewers that does not use EXIF info to rotate it, like Win7’s default photo viewer. I want to piggyback on this comment. I am basically trying to save my pics so that they are oriented correctly in windows with the EXIF Metadata. Hitting save for each image is a pain. Am I missing something? Hi. 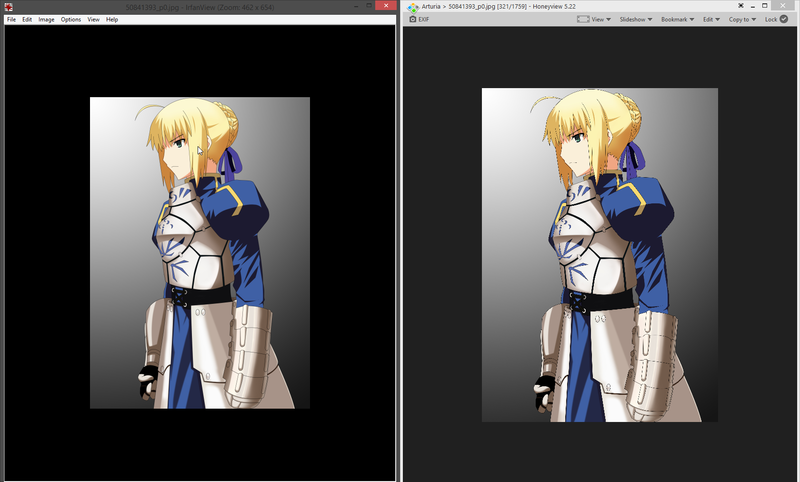 Great image viewer, but is there a way to default the frameless view option to just one monitor. I have multiple monitor setup and when I open a picture in frameless mode it stretches through all my monitors and pictures look weird then. I installed your Dec’2015 v3 on Windows XP 32bit. It will now run…says not a 32 bit application??? I could need v3 to run on XP 32bit. 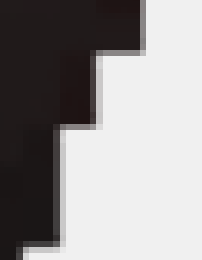 Hey, I’m working with a pixel art, so it would be awesome if I could use zoom in without the borders become soft. Am I missing something or is there not an “Undo/Redo” feature? Otherwise…great stuff, thanks! nope there is no undo feature because of RAM concerns. But since a lot of people are asking for that, we are considering this for nomacs 3.
what I want to know as well. This is by far the most beautiful piece of software I have seen in many year and I really cant complain about anything your team is doing, but I was wondering if you think it would be possible to add Webm support as some people have started using it as a replacement for Gif files. we’ll check how complicated the support is – I have added a feature request. Hi, I’m trying to use nomacs to read comic, turned out it can’t replace my image viewer yet. 1. Can you make so the arrows are only used for navigating an image? 2. Can you add the status bar property: current image/total image? (example: 4/22 means current image is number 4 of total 22 images) and current zoom level would be nice. 3. Can you add faster/bigger zoom level? For now it’s 66%, 72%, 80%, 88%; it’s I need to zoom 4 times in order to reach the size I want. thanks for the feedback, I have created a feature request. Well, e.g. clicking on an animated GIF ( transparent background ) and placing it on the desktop works like a charm. Only thing is that nomacs doesn’t loose the focus. So the whole desktop is “occupied”. By clicking somewhere it either starts dragging the image or opens the player in fullscreen window. If there would be an option in the context menu to stop that behavior, let’s say “sticky”, then nomacs could show animated images like screenlets in a comfortable way. Multiple instances seem to be no problem, so imho this could be a nice additional feature. In general, the frameless mode receives mouse events only at locations where the image’s alpha value is > 0 (I know there are issues with some linux window managers which we cannot fix). If this is not working for you, you could lock nomacs: View > Lock Window. After you do so, nomacs is transparent to all mouse events (This feature is intended for watermarks if you e.g. record a screen video). Hi, this does not work any more, or at least I do not have Lock option in my case. Is it removed in version 3.? it’s still there, but locking the window is only available on Windows. I would like to view ico files like how they are done in Windows Photo Viewer, instead of the default zooming feature (i.e. the ico file may have different images for each resolution). Also, setting nomacs to the default viewer of ico files has the undesired effect of replacing the (custom) ico thumbnail with the generic nomacs thumbnail (at the detail view).. Speaking of which, can there be different nomacs ico thumbnails specific for each image type? Also, how do I disable previewing of images in the zip archive when I browse its parent directory? currently nomacs displays only the largest sub-image of an ico file. the ‘default viewer’ for ico files is windows behavior (we would not do this). I think it’s best to open Edit > Settings > File Filters and check ‘browse’ and uncheck ‘register’ for ico files. different icons for image types is planned for nomacs 3.0 – so you have to wait a bit sorry. How can i set nomacs to be default viewer in windows 7? i can see file association but if i click on picture in windows explrer or similar… file opens in my editor which is Zoner, i want nomacs as a viewer to be default. 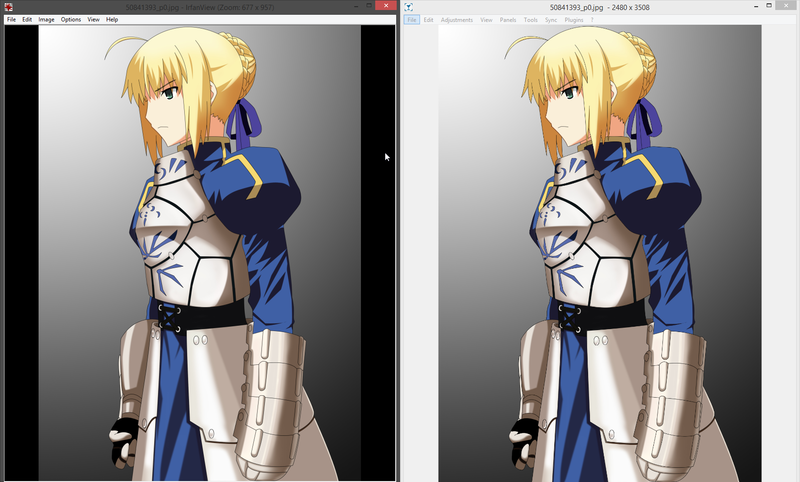 and one more thing, is it possible to be opened in full screen mode if i open picture bu clicking in windows explorer? you can right-click an image file in image explorer -> Open With and choose nomacs there. remember to check the ”Remember my Choice”. Another option is to open nomacs Edit > Settings > File Filters and check the register checkboxes there. Nice software but I have a problem. are you trying to open images from a mapped network device? Here is an answer that probably solves this issue. thanks for the comment. We just worked on the batch processing which get’s a few new features for the next stable release… Is it crashing on your system? No, works fine, i meant more features, but looks like you have that covered. Another great feature would be to force one instance only, that way when opening images from file explorer they’re loaded in already open Nomacs. Thanks, but it works only partially. Starts Photoshop ok with script file in “Open with” menu, but don’t opens selected image. after searching i found out that one need to change the path to the file for wine. Since i do not use wine I’m not entirely sure how to change it, but i’m sure you will find a small bash script in the internet which does this conversion. Is there a way to show the menu bar after it was hidden accidentally? I can not find setting or Contxt menu action in the Linux build. Is this a Linux standard or something I should know about? If I start Nomacs by clicking on an arbitary file in windows explorer, to see other files in that directory I click next next … at some point I “reach the end” and to see undisplayed files in that directory I have to click previous a scrillion times. Is it possible to wrap from last files to next file. you can change this behavior in settings: Edit > Settings > (Advanced) File Info > check “Loop Images”. Moreover, you can always jump to the first/last image of a folder using the Home/End keys. I have folders with pictures in different orientations and when I flip through them, I always have to reset the display size to 100% and select ‘fit window’ if the image format changes from landscape to portrait (or vice versa). It would be nice to have an option to set the display size to a fixed value (like 100%) and always fit the window dynamically when displaying a new image. Fitting the window (CTRL+2) automatically is currently not supported. Maybe, the frameless view would be an option for you? (View > Frameless (F10)). Thanks for the hints. It’s much better now. I’ve added a feature request regarding the function of the F11-key. Very promising piece of software you got there. This might replace Picasa for me. Trying it under Windows and Ubuntu at the moment and would like to see it remember the screen layout (toolbar/palette visibility) and open in the folder location it was last run with. Also helpful would be the ability to import Picasa’s ‘star’ ratings and image crop settings. the import of picasa settings will not be supported within the next releases since picasa saves star rating etc. to text files in your user folder (e.g. C:\Users\\AppData\Local\Google\Picasa2\db3\starlist.txt) instead of writing them to the image metadata. When Using version 1.6.4 on Xubuntu 14.04 there are a few issues. If I am in frameless there is a semi-transparent border around the photo. Can this be removed? Also when in frameless, with the image set to fit the window, it looks like a fully transparent border takes up the whole screen. If I have the image open in a file manager and see another image thumbnail beside it, or something else I should be able to click on, I cannot click on it unless I manually switch to the file manager. Is there some way to limit the transparent window to the size of the image, so I can click on something in the area outside of the image? Is there a way to add “close image” to the right-click menu of a frameless image? Thanks for all of your hard work. You have made an excellent image viewer, I am just trying to get the experience closer to the one a user had using Irfanview on their Windows system. The frameless mode should allow clicking outside the image, so this is a bug. Adding close image to the right click menu in frameless mode is a good idea. Hi, very nice piece of software, it’s very fast. Is there a way to filter images by ratings (number of stars)? That’s a pity! It is a useful feature. I really love nomacs. But the smoothing algorithm it uses for image viewing still leaves a lot to be desired. Could you let it use lanczos or bicubic etc. ? nomacs uses by default bi-linear rendering. Does the image change if you toggle View > Anti-Aliasing on? In that case a pixel area relation algorithm is applied which – in my point of view – is better than lanczos or bicubic (it’s the Area option in the resize dialog). Well, that might depend on the scenario. For my case, you could try opening something like http://i.imgur.com/EnqCHhl.jpg in firefox, sxiv, and nomacs. Nomacs produces some very jarring edges. Just my 2 cents. is there a way to migrate from picasa to nomac without the loss of the person identification and Albums ? unfortunately, you can neither import the albums nor the person identification. both functionalities are not planned for future releases as nomacs is designed as image viewer (without a database etc). Is it possible to execute nomacs from the command prompt along with an image file and have it loaded with nomacs? I am trying to use it with a libreoffice base macro to view picture files from a database. if you are running windows, nomacs cannot remember window positions if they are snapped or maximized since this is some hybrid window state (note that microsoft software such as the windows explorer does not remember this state either). However, you could resize the window such that it fits your screen (without maximizing) or you could quit nomacs in the fullscreen mode (CTRL+L or F11) which is also remembered. How can I made nomacs remember window size next time I open it ? I would like to start it maximized but always starts with a small window. Hi, your software is not fully translated to Protuguese-PT. How can I do the rest? Also, is there a wya to use it as Windows default viewer?